Cause of her death was bronchopneumonia & cerebral thrombosis. 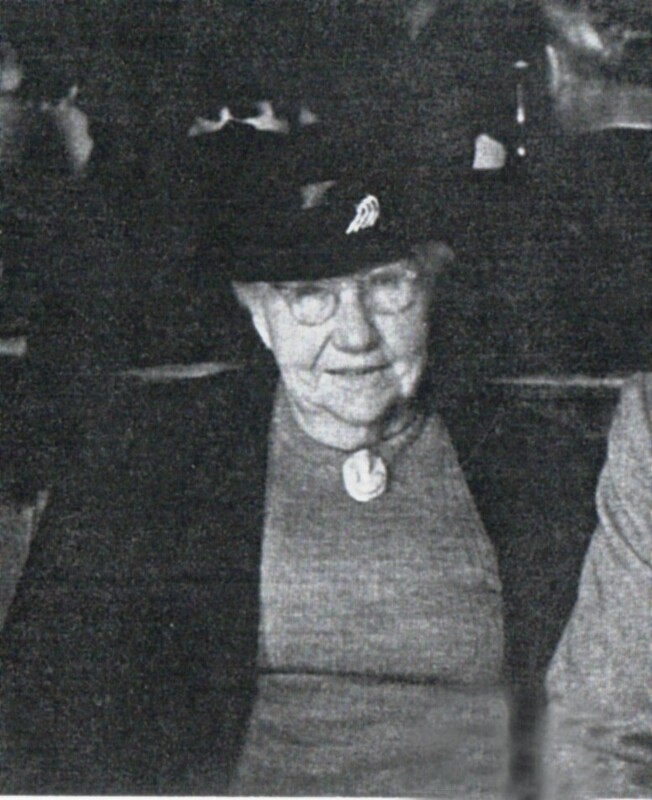 Emma lived in Montgomery St. Levin in the 1950's, then with her daughter Stella at 35 Woburn Rd., Northland, Wgtn. "I saw quite a lot of her when I was a child as we visited every Friday afternoon when we came into town for our weekly grocery shop. After she left Levin she went to live with her daughter Stella in Wellington. She was very old when I knew her and my memory is of and old lady sitting by in a chair with a crochet rug over her knees. There was a little photo of her grandson David above the mantlepiece which always fascinated me as it was so like photos of my sister Lindsay - just a small curly-haired blonde person in actual fact, I suppose! None of Aunt Em's children were called by their first name. They were Clive, Gladys, Trevor, Stella and Gina. Dad was very close to Stella and Trevor, and I knew Stella all my life. I knew Stella's son David quite well when we were kids as he stayed with Aunt Em in the holidays and is the same age as me, but I haven't seen him for years. He is still living in USA as far as I know - I think Diana still keeps in touch with him. I didn't know her twins as well as they were older, though I saw a bit of John before Stella died, and of course at her funeral. Her husband John was a lovely gentle man. I didn't meet any of the rest of Aunt Em's family as far as I'm aware, apart from Gina's daughter Prue who I used to see occasionally when I was living in London in 1968/69. She was working in a shop in Jermyn St and I'd call in when passing. Prue's sister Rosemary married John Wesselink but I don't have a date which is why he seems to be floating in space by himself in the printout".